« Bronze sponsor for IABC Bronze Quill. In this case HOW does a small group of a big brand company make itself known in the world of its customers? 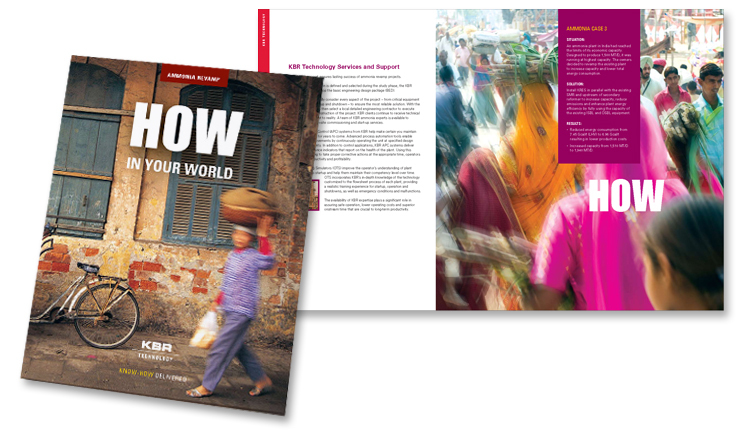 Make it powerful, simple, and about the client’s technologies. This was hard – as we set out to design nothing “technical” looking. We worked to find images that had just the right expression: Activity, growth, things in motion, people on the street – well, life. 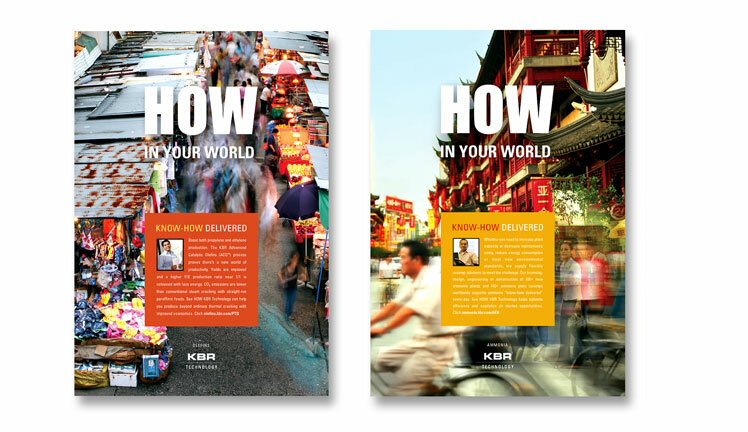 We needed vivid and engaging colors to tell the story but not conflict with any brand standards. We selected colors from within the photo images. Each color choice is part of its environment, not part of a brand palette. The creative team started with Richard Laurence Baron, Signalwriter, and included the Prism beans of Stacy Allen, Terry Teutsch and Susan Reeves. 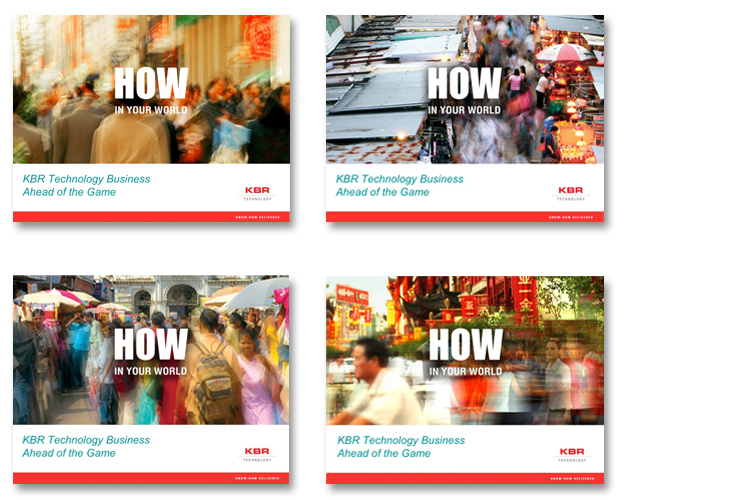 Inspiration delivered by the clients at KBR Technology, of course. 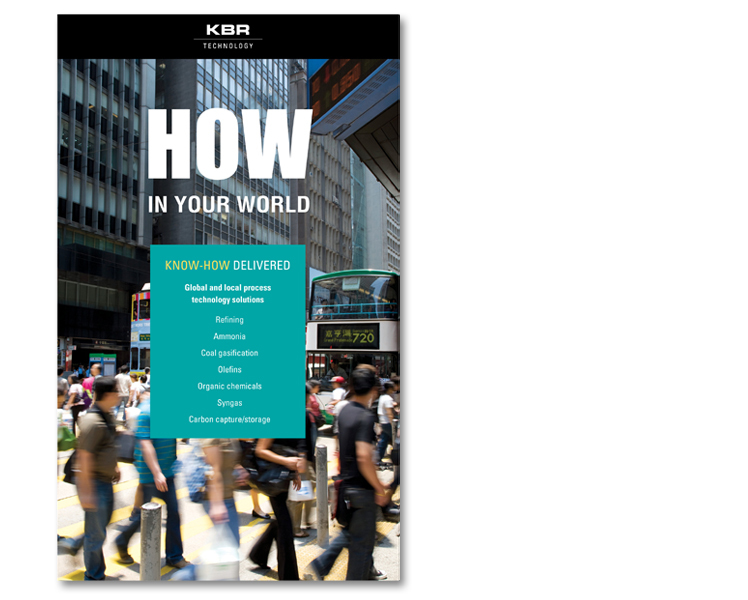 KBR Banners: Tradeshow display and Web advertising. 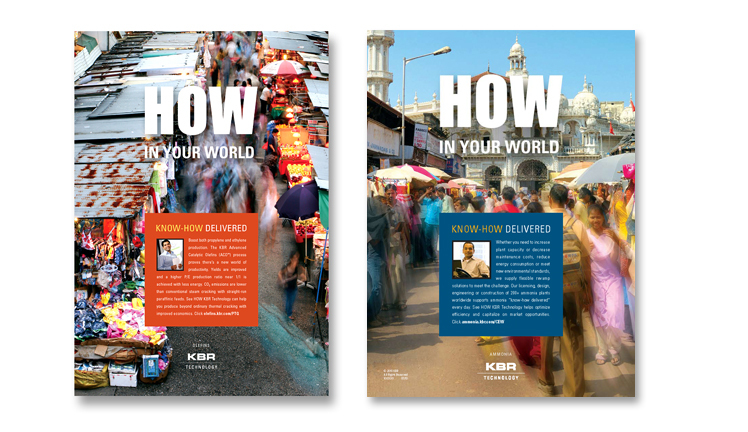 KBR Print Ads, plus a PowerPoint template. 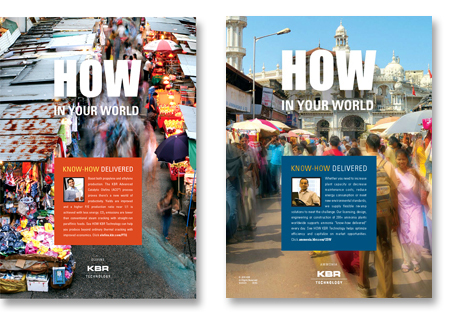 There is a post on Signalwriter, by Richard Laurence Baron about the development of this KBR Technology sub-brand. 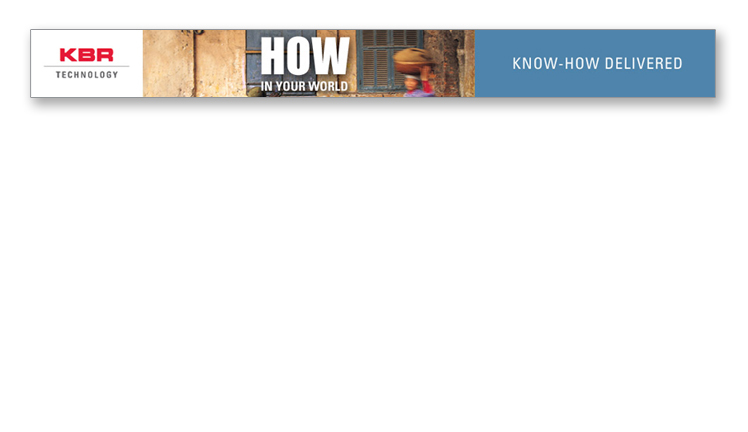 This entry was posted on August 30, 2010 at 9:09 pm and is filed under Advertising, Branding. You can follow any responses to this entry through the RSS 2.0 feed. You can skip to the end and leave a response. Pinging is currently not allowed.